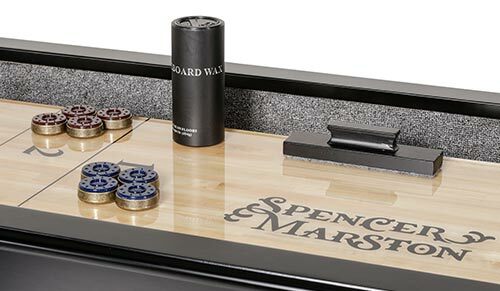 Spencer Marston Pool Tables are designed to complement and enhance the beauty of your home. The carved hardwood leg designs are steeped in tradition going back almost 100 years. Our color combinations and intricate woodworking touches show the true furniture quality homeowners want for their game rooms today. 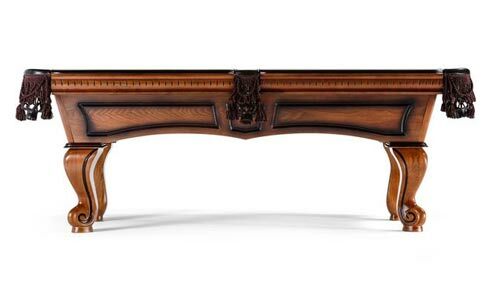 A few of the traditional carved leg tables like the Savona, Venetian or Milano are simply timeless. The design and styling touches never go out of style. The Prato table enhances this style with Walnut stained rails and ball in claw legs. Our design combinations are often copied by our competitors but are never quite as desirable as our tables. 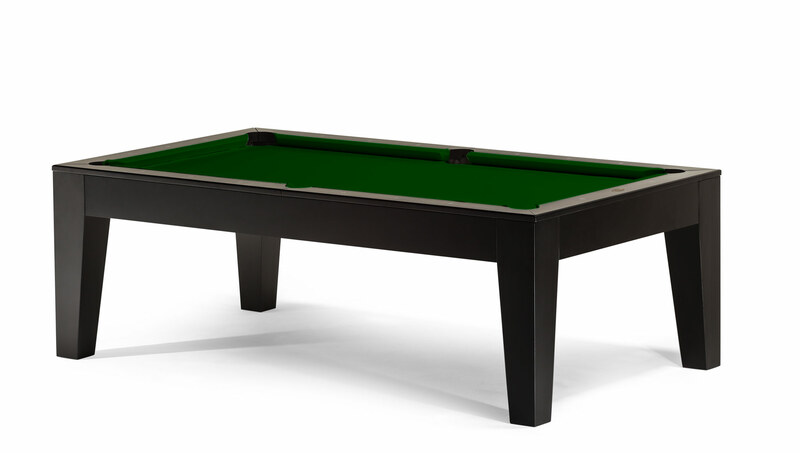 Our dining pool table collection is by far the most appealing on the market today. 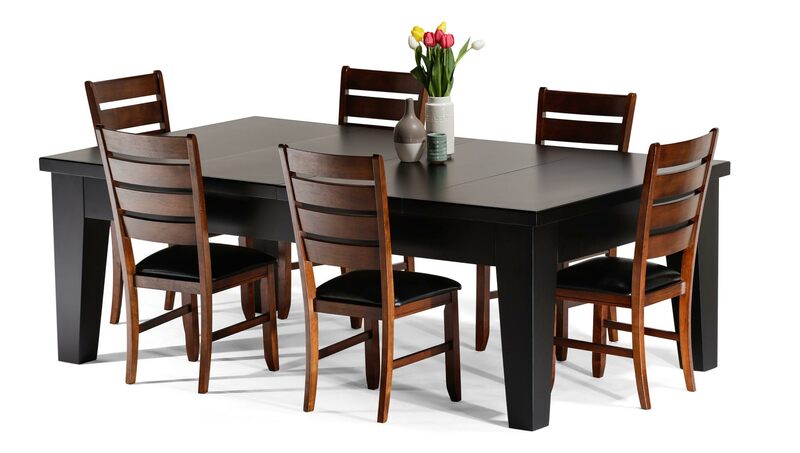 The clean modern design is a perfect match to both the modern décor and personal taste of designers and architects throughout the U.S. You can have a beautiful dining table in your home that also becomes the centerpiece of your indoor recreation. 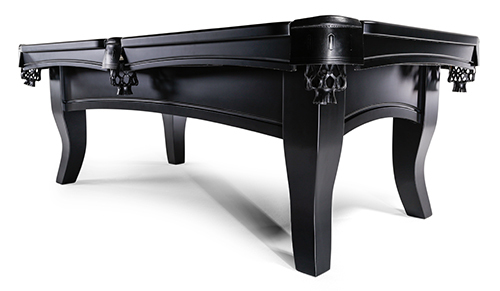 Unlike the typical combination tables on the market today, our Hudson, Hawthorne and Monaco models have a design that is well matched with contemporary style. They are functional, elegant and sleek. This is a table that looks like a modern dining table—not a pool table disguised as a dining table. When the dining top is off it appears and functions as a high quality three-piece slate pool table. 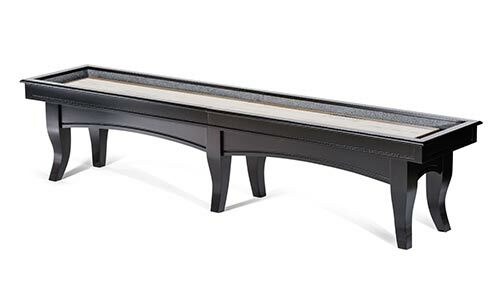 Spencer Marston Shuffleboard Tables are stain matched to a number of our pool table models. The Satin Pecan, Satin Walnut, Satin Dark Cherry and Satin Black finishes match our Rimini, Sedona, Tuscany and Manhattan tables, to name a few. The two-inch thick play surface has a durable two-layer, one quarter inch thick polymer surface. The solid wood legs and cabinet contain no veneers or particle board. The six built-in height adjusters make it easy to set up and adjust for a long-lasting level play surface. A complete accessory kit is included with each table.